Being Part of Front Porches For Over 12 Years! Regardless of where you live or what the weather is like, there is nothing quite like relaxing in a great rocking chair, indoors or out. If you're looking for an adult rocking chair or a child's rocking chair, we have a variety of styles to choose from, including contemporary and adirondack. 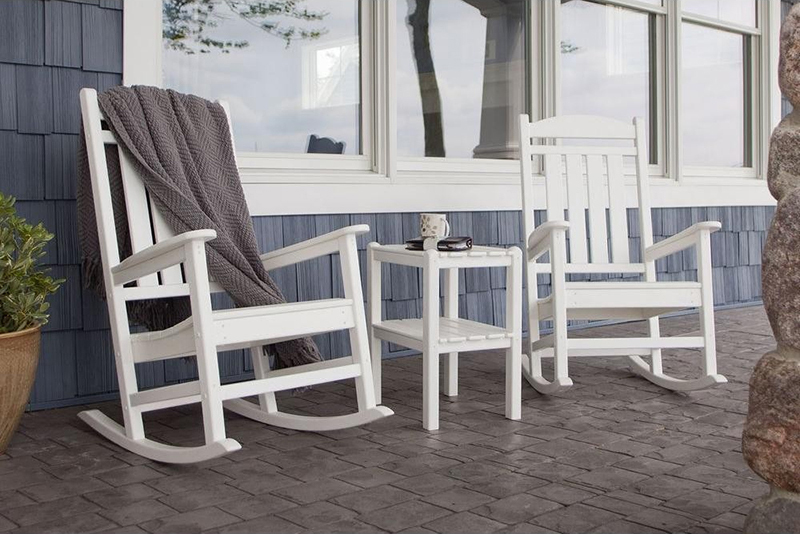 An outdoor rocking chair is the perfect accessory on the front porch, and we offer both adirondack and classic styles. The adirondack is symbolic of the coastal maritime look, and we offer this style in both a child's rocking chair and an adult rocking chair. If you would prefer the classic, 19th century style of the south, we have several varieties to choose from. Or, you may wish to consider the modern style and feel of a glider rocking chair. A children's rocking chair is also a perfect piece to give your child a seat of their very own on the front porch. 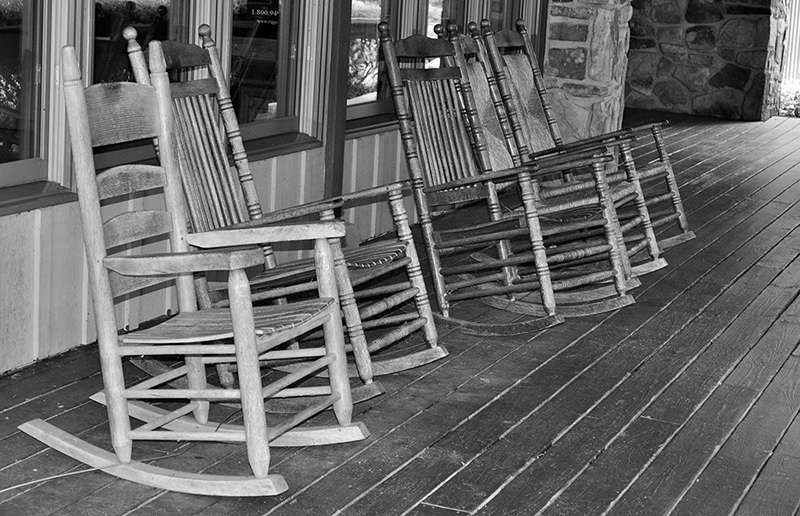 Our rocking chairs are great inside, too! If you would like a child size wooden rocking chair for your child's room, we have several models in a variety of colors to compliment their decor. A children's rocking chair also makes the perfect playtime accessory. Perhaps you are expecting a little one, and you would like a classic wooden rocking chair for your nursery. Our traditional spindle back rocking chair is perfect for you. 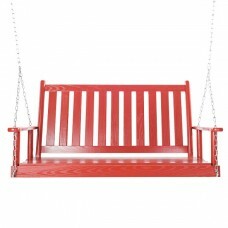 This style looks great as a porch rocking chair for those soft summer nights when you want to enjoy the great outdoors. Some deck rocking chairs can also provide a unique look to an outdoor dining set. Rocking chair cushions are a great addition to any rocking chair. 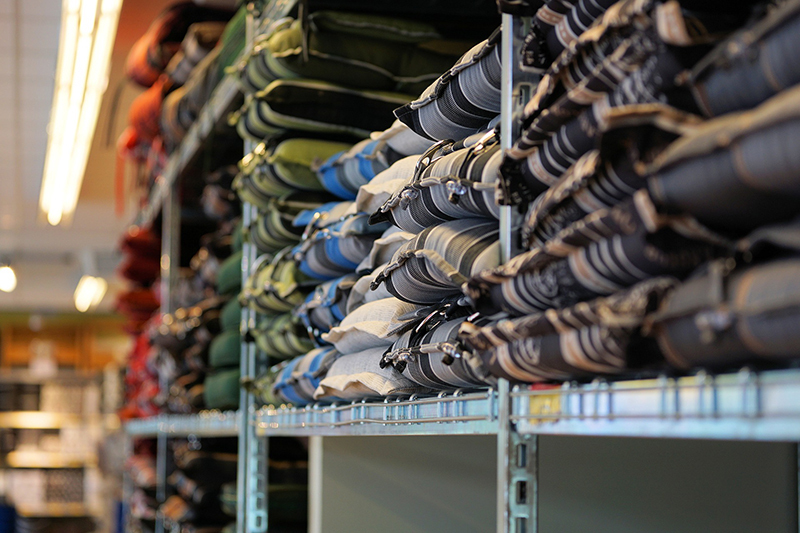 We carry a large selection of rocker cushion sets as well as rocking chair seat pads. Custom rocking chair cushion sets are also available, so you are sure to find the right size cushion to fit your porch or indoor rocker. We also can make replacement cushions for Tell City Gliders and Dutalier Gliders. Contact us for more info! ☆ ☆ ☆ ☆ "I actually received my cushions today. They are well made and fit great. I appreciate all of your help in getting me new cushions for my glider rocker. I am very pleased. Thanks so much!" ☆ ☆ ☆ ☆ "Just wanted you to know that my cushions came on Saturday well ahead of when I thought they would come and I was just delighted. The quality of the work was A+. This was such a positive experience, I won't hesitate use you in the future and will tell others about your business."